The residency training years in Physical Medicine and Rehabilitation are an opportunity to begin to explore a host of clinical areas ranging from stroke rehabilitation to electrodiagnosis, and to begin to develop the necessary clinical skills to become a thoughtful and compassionate physiatrist. Since the field continues to be one of the few remaining underserved disciplines, upon completion of training physiatrists encounter a wide array of diverse employment opportunities. The 14-position three- and four-year residency training program is fully accredited by the ACGME (Accreditation Council for Graduate Medical Education). A commitment to training well rounded physiatrists who excel in all areas of Physical Medicine and Rehabilitation. Our Chairman, Dr. Robert Wilder who leads by example and is personally committed to resident education. Our Residency Program Director, Dr. Jeffrey Jenkins, a respected physician and educator. The recipient of numerous teaching awards, Dr. Jenkins was elected to the University of Virginia’s Academy of Distinguished Educators in 2006. He also serves as Vice Chair of the Graduate Medical Education Committee here at UVA. The University of Virginia PM&R faculty, who collectively possess decades of experience and an unusual breadth of expertise. Faculty clinical and research interests cover essentially all aspects of Physical Medicine and Rehabilitation. These include, but are not limited to, Stroke Rehabilitation, Brain Injury Medicine, Spinal Cord Injury Medicine, Sports Medicine, Athletic Performance, Interventional and Non-interventional Pain Management, Electrodiagnosis, Neuromuscular Medicine, Occupational Medicine, and Acupuncture. The small size of the department (only 4 residents per year), which ensures a high faculty-to-trainee ratio and a tremendous amount of one-on-one teaching, learning, and mentoring. Extensive experience in Sports Medicine. 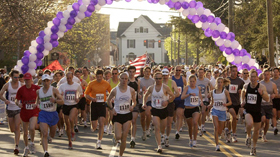 Our residents and faculty provide medical coverage for local high school football games and several major distance running events throughout the year, including the Charlottesville Marathon. Two of our faculty serve on the UVA Athletic Department staff, affording our residents the opportunity to work with intercollegiate athletes as well. Inpatient rehabilitation training in a freestanding rehabilitation hospital which is a joint venture between the University of Virginia and the Encompass corporation. This training environment offers a true “real world” experience in rehabilitation medicine and an invaluable systems-based practice education. A very generous salary and benefits package offered by the University of Virginia to its resident physicians. Extensive training in Electrodiagnosis. Residents spend six months in the EMG lab. A typical resident performs three to four hundred studies during his/her training, easily exceeding ACGME and ABEM requirements. 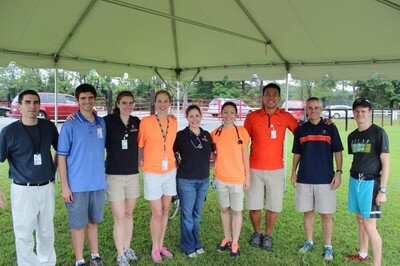 UVA PM&R residents have been among the highest scorers nationally on the AANEM Self-Assessment Examination. A great place in which to live and work. Charlottesville, Virginia is highly ranked on almost any list of the best places to live in America. A college town in a beautiful and historical natural setting, Charlottesville offers recreational and cultural opportunities galore. It is the home of a physically and intellectually active population and the site of burgeoning art, music, and food scenes. Check out the Charlottesville accolades! A group of highly qualified, bright, inquisitive, and well-rounded resident physicians! Please call  243-5631 for more information. At the University of Virginia Department of Physical Medicine and Rehabilitation, we are committed to academic excellence and recognize that understanding differences is essential to culturally competent education and health care. As our country becomes more diverse and health care disparities persist, we strive to ensure that the health care workforce that we train is prepared to lead, live and work effectively in such an environment.